(China ITF ) is at the 6th. Degree of ITF. 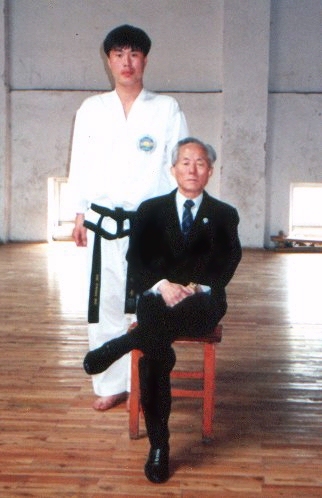 of Taekwon-Do, who instructed Mr. Li Guangsong in the techniques and spirits of Taekwon-Do. 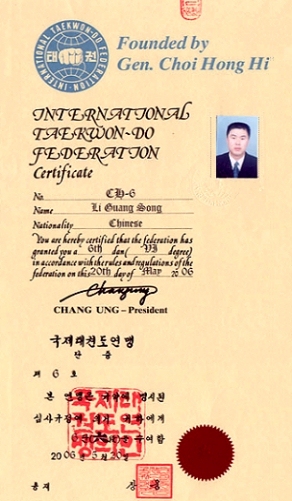 awarded the certificates for the ITF 2nd, 3rd, and then 4th degrees by General Choi himself.